WebAction will be exhibiting at Futurecom 2014; the largest ICT (Information and Communications Technology) event in Latin America held in São Paulo, Brazil. Stop by The Business Trade Show October 14-16 to learn more about our Real-time App Platform and Data Driven Apps (booth #i8) . 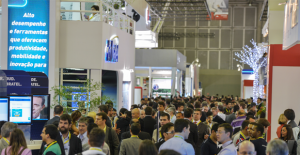 Futurecom 2014 will be held October 13 – 16, showcasing state-of-the-art technology, gathering Market Forces and offering companies and professionals an opportunity for Business Development and Networking. For more information about the Business Trade Show and tickets refer to: http://tickets.futurecom.com.br. Check out other upcoming WebAction Events.